With the New Year just around the corner, most people will now be taking stock of their performance in the current year and will be busy making fresh resolutions for the New Year. Anxious to perform better than in the past, they hope to foresee their future. Instead of making a rational assessment and prediction, many people fall back upon superstitions. Making an accurate assessment of this situation and exploiting the weakness of the gullible to the hilt, astrologers do a flourishing business in making horoscopes. Millions of copies horoscopes are printed and sold every year in our country. Bookstalls in railway stations and bus stands and airports display them prominently. 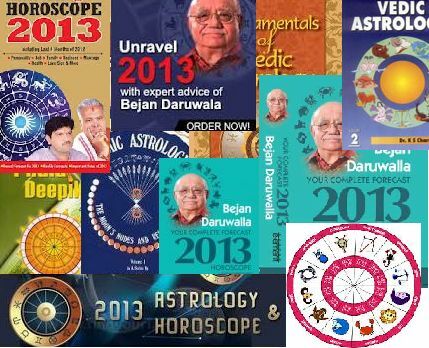 In our continuing effort to debunk this nonsense of astrology, we publish an essay by the eminent astrophysicist, Jayant V Narlikar. This essay was first published almost two decades back in The Times of India (January 1, 1994). We have left out the last paragraph of the original essay as it is not relevant today. ‘The fault, dear Brutus, lies not in our stars but in ourselves…’ Thus wrote the Bard of Avon in his classic, Julius Caesar. William Shakespeare belonged to the 16th century and Julius Caesar pre-dated him by about 17 centuries. The statement denies any power to heavenly bodies in shaping human destiny. In the modern age of science when the astrophysicists have solved the mystery of what the stars are made of and what makes them shine, how does the above statement sound? Imagine the following scenario. The time is early afternoon, yet the ever-busy city of Bombay is at a standstill, its streets empty, the BEST buses parked in rows long the pavements, shops with shutters drawn. Why? Is it one of those bandhs which have (sadly) become part of our life? Has the plague been rampant? Have there been bombs going of everywhere? Or is the city deserted because of the threat of an imminent air attack? Well, the scenario is not imaginary. It actually took place but not because of any of the above causes which, though unpleasant, are at least rational. The cause was irrational; its source, the star nearest to us – our sun. The day was February 16, 1980, when a total solar eclipse was visible from certain parts of India. For Bombay, which claims to be the most advance city in India, a partial cover of the sun was, however, enough to drive practically everyone indoors. Schools texts tell us how and why the solar and lunar eclipses take place. Models are made to demonstrate how the earth’s shadow (in the sun’s light) falling on the moon causes the lunar eclipse and how the moon blocking the view of the sun from the earth causes a solar eclipse. The geometry of the earth-moon-sun system tells us that the eclipses of the sun are considerably rarer than the eclipses of the moon. Even the Indian astronomer, Aryabhata, back in the fifth century knew all this. Yet, the spectacle of a shining ball of light disappearing, if only for a few minutes, causing momentary darkness is impressive, and can even be frightening if you do not know its case. Thus our ancient forefathers may be excused for reacting to the phenomenon with wonder and far. It is not surprising that legends grew up around the eclipse phenomena, legends that inspired rituals. The transient darkness and the serpentine shadow bands were considered harmful. The fear, the legends, the rituals continue to dominate the minds of many to this day, even though science has given a rational explanation for the phenomena. This irrationality which drove even a city like Bombay behind doors, has its roots in a deeply-imagined belief that the fate of any individual here on the earth is governed by the heavenly bodies. Let us see what hard scientific evidence has to say on this belief. To what extent do starts govern our condition? The existence and sustenance of life here on the earth has been possible because our planet goes around a star (the sun) at a ‘reasonable’ distance; that is not too close to be burnt out by the sun’s heat and not too far as to freeze to death. The sun provides energy that is needed for all life forms out here. Our own building blocks – the elements we are made of - were mostly manufacture deep in the cores of other stars through the process of thermonuclear fusion and ejected through stellar explosions. The stars are essential for our existence. But this statement is a far cry from the claim that your birth chart of horoscope determines your future or that an eclipse or a comet will bring disaster. Scientific temper requires that such claim be examines in the first instance by the usual techniques that scientists use to test the validity of empirical relationships. What has been the outcome of such tests? Take, for example, the belief that for a happy and sustained married life the birth charts of the couple must be compatible. Compatibility here means a matching as per astrological criteria. To test this hypothesis studies have been conducted for couples of kinds, those whose marriages were happy and sustained and those whose marriages did not last. The birth charts of couples from both groups were given to astrologers (who were not told to which group they belonged) to sort out which coupes and compatible birth charts and which did not. Their classification tuned out to have co correlation whatsoever with the actual groups; In other words, compatibility of birth charts has no bearing on compatibility of marriage. This is just one of the many ways in which astrological predictions have been tested by scientists using objective criteria and statistical methods of inference employed successfully in other fields for testing empirical hypotheses. In all cases the results have been negative; that is, astrological statements have shown no scientifically predictive power. In the ancient times of Julius Caesar, the motions of planets were known to be irregular, not fitting in the same circular pattern in which stars appeared to move. The Greek word ‘planet’ itself means ‘wanderer’. Did the planets wander because they moved at will? Did they possess extraordinary powers? Did they exercise them on humans here on the earth? Affirmative replies to these questions partly, if not fully, account for belief in astrology. The work by Kepler and Newton in the 17th century, however, has put the planets in their place, in orbits round the sun with motion, far from being irregular, but entirely calculable. Today computer programs are available with whose help even a secondary school student can tell where Mars or Jupiter will be at any given time on any day. Spacecrafts are launched to the moon and the planets with trajectories of split-second accuracy, thanks to the entirely predictable nature of scientific laws – the same laws that so graphically and accurately predicted the collision of Comet Shoemaker-Levy with Jupiter. Why then even today we find astrology still flourishing? For reasons one must look to that part of the human brain that is subjective, not rational. Belief in astrology may provide solace to the frustrated and hold out hope when by all objective assessment there none. For the stars (that is, the planets, which in astrological jargon also include the moon and the eclipse nodes) may then provide excuses for human failing and inaction and raise expectations that they will override human control. While an individual may find mental solace in such beliefs, they are hardly beneficial to society. Think of marriage proposal between otherwise well-suited couples being turned down because their horoscopes don’t match. Or important decision like launching welfare programmes or forming cabinets put of to ‘more auspicious times’. Or relaxing efforts in the success of an enterprise because ‘stars are favorable’. I have hopes that in the highly competitive age of science and technology the long battle against superstitions will eventually be won.